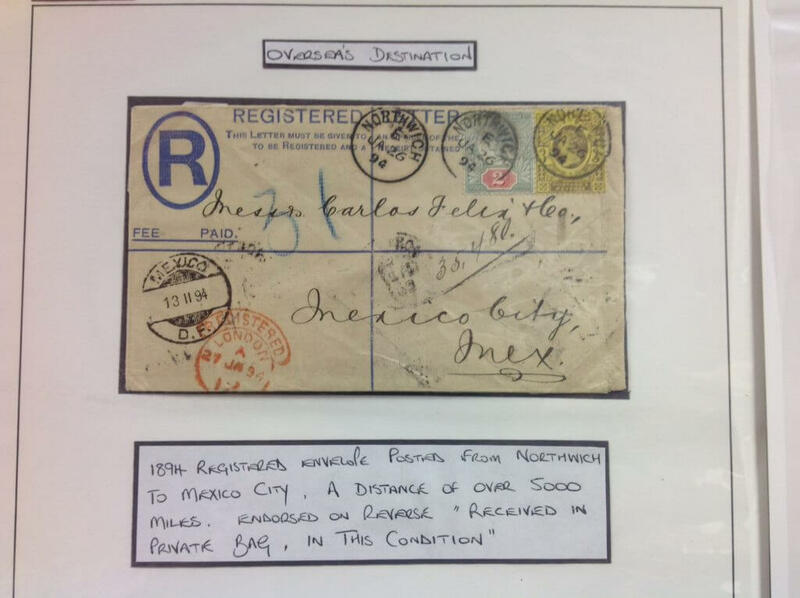 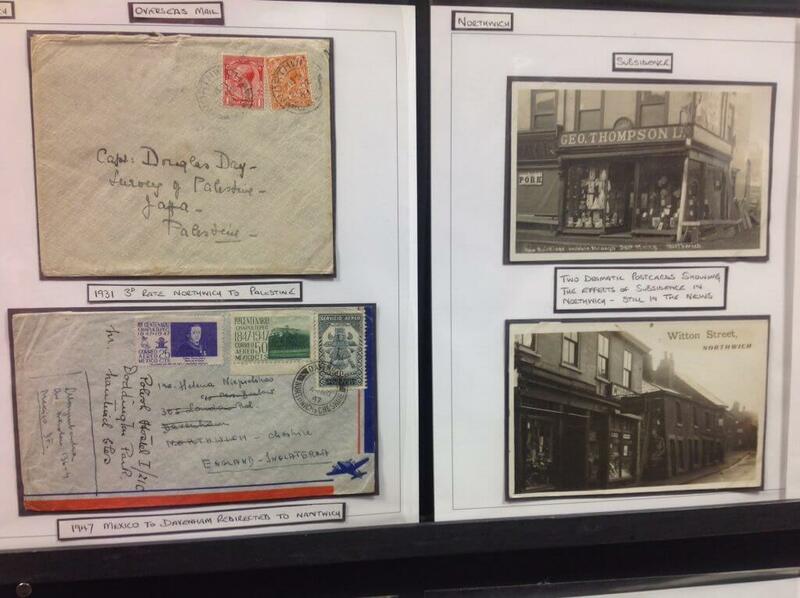 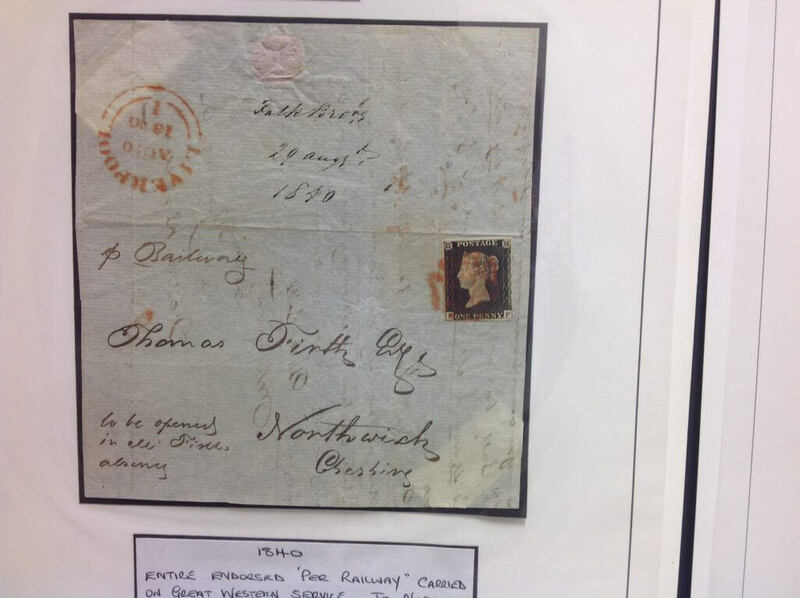 On March 10th 2015 the Society was delighted to welcome Simon Carson, owner of Philangles, to give a display and talk on the postal history of Northwich. 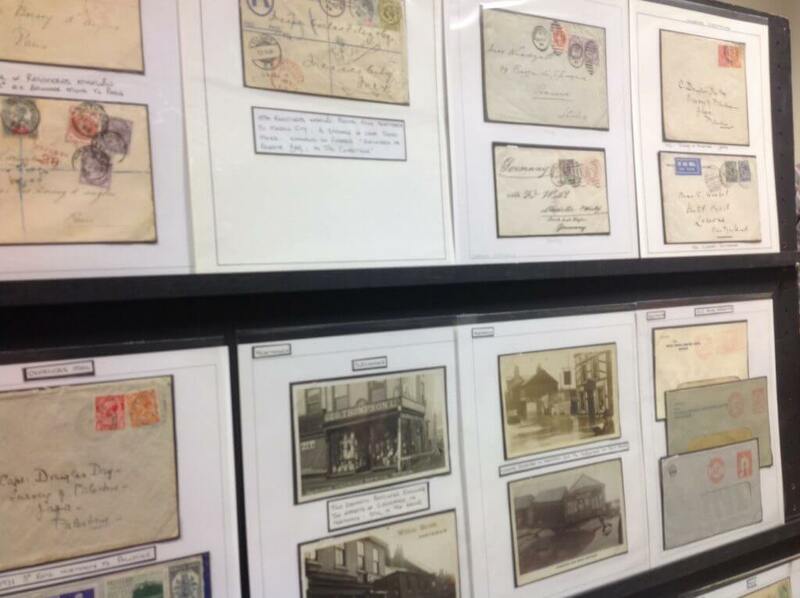 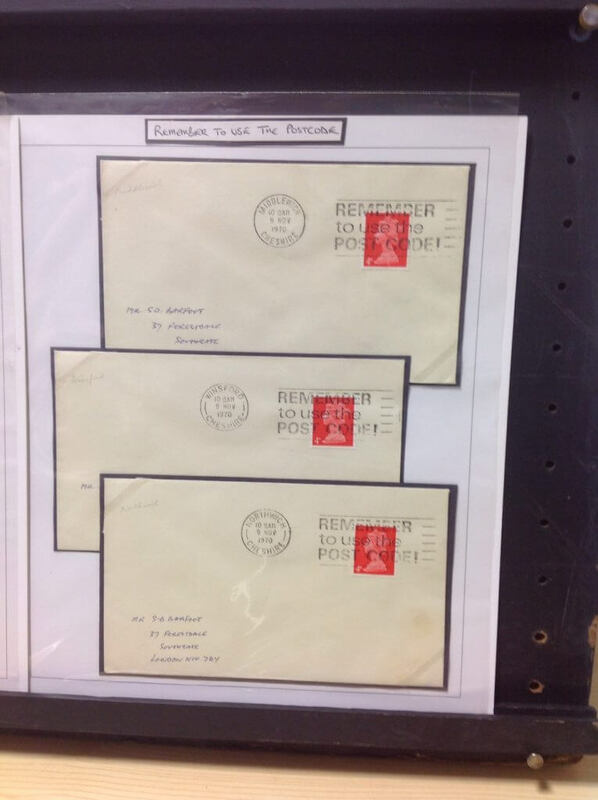 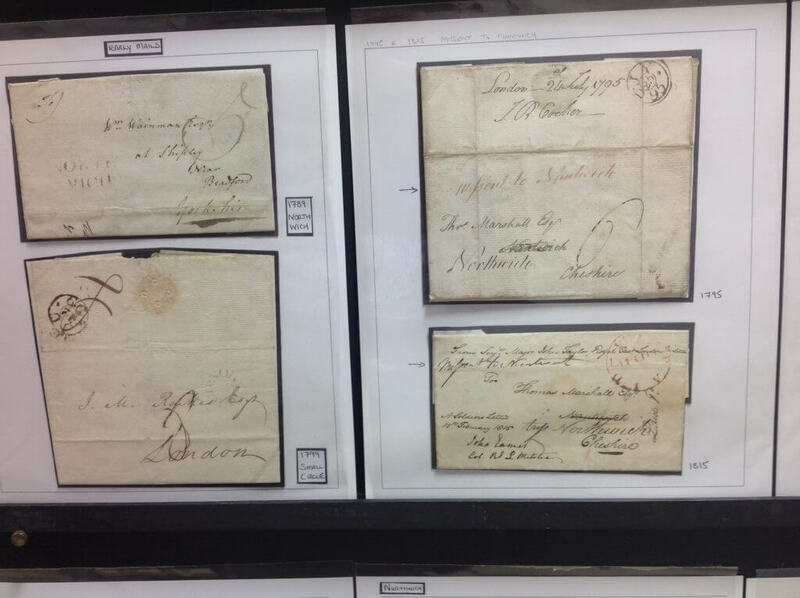 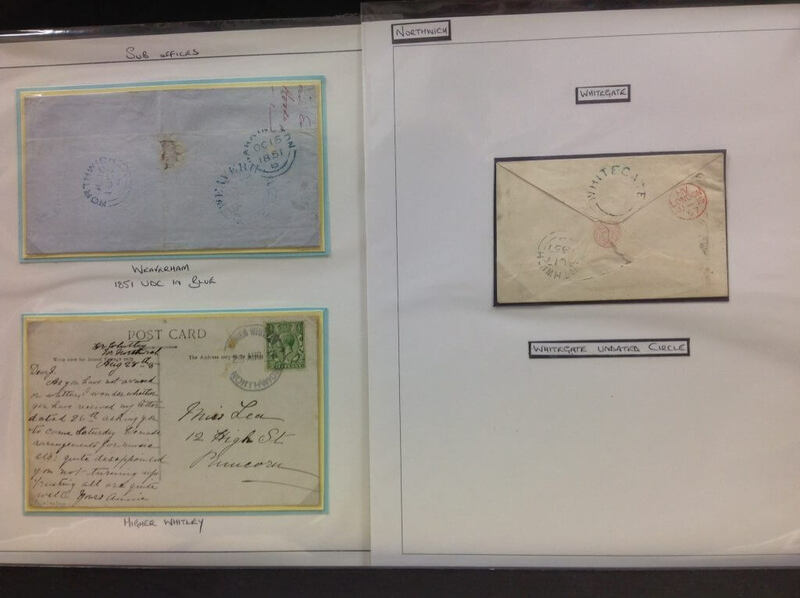 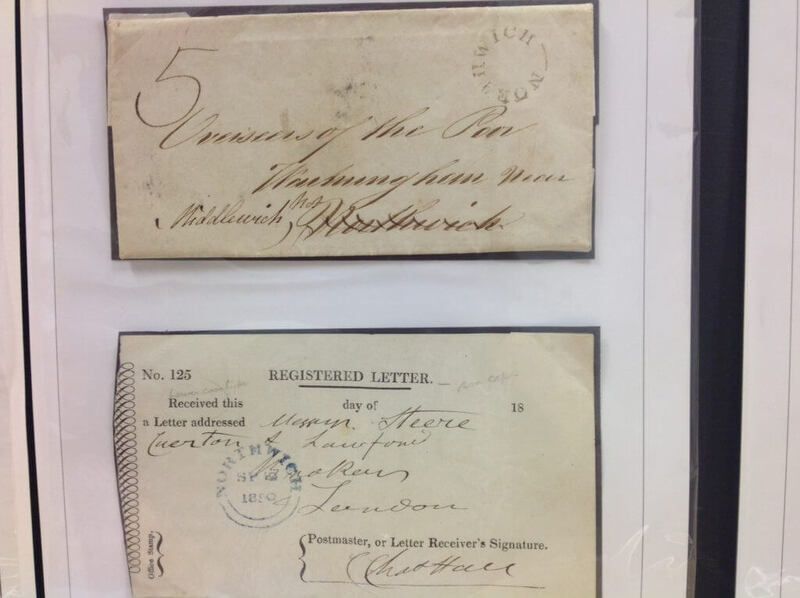 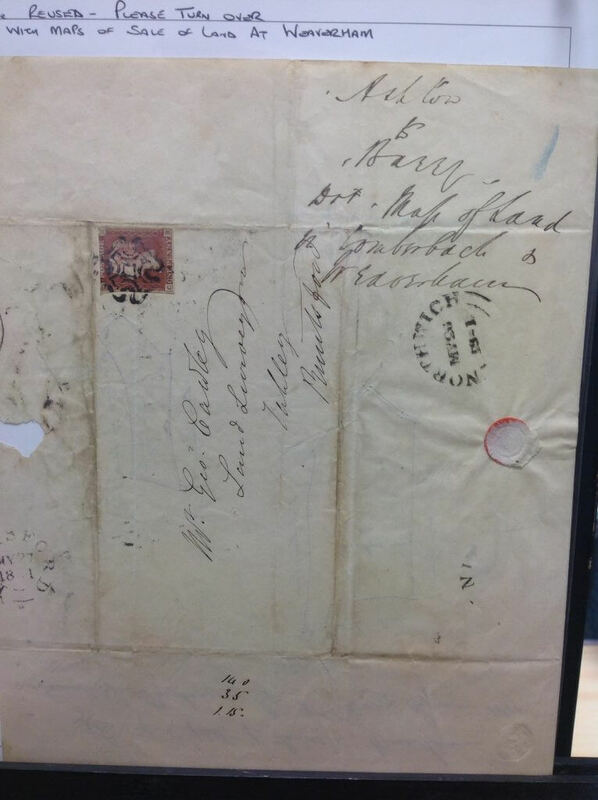 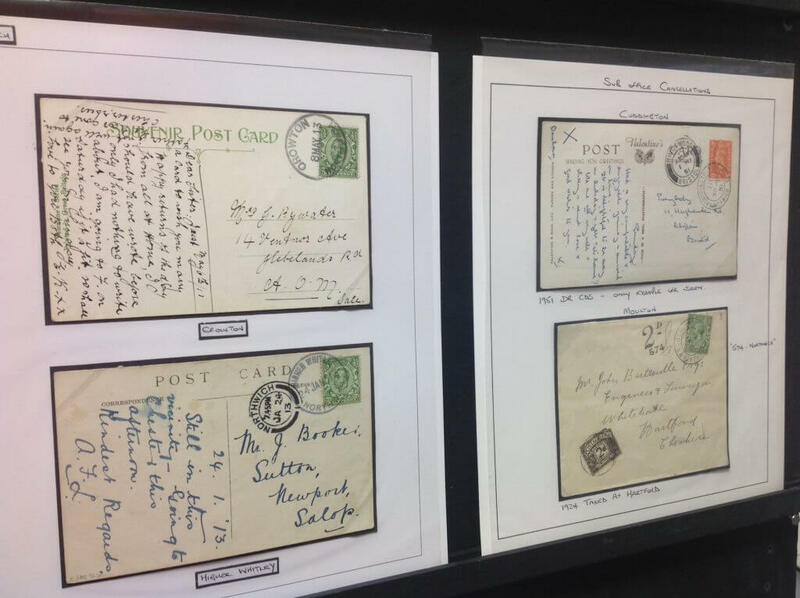 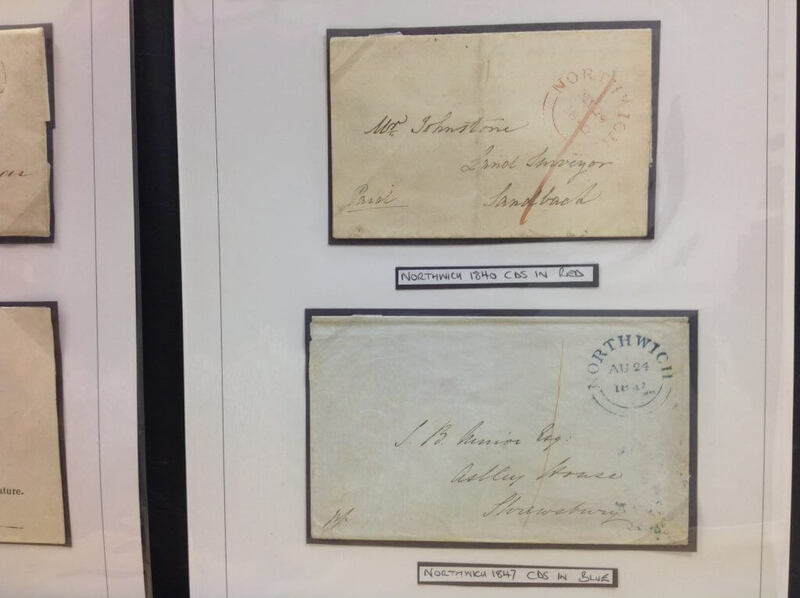 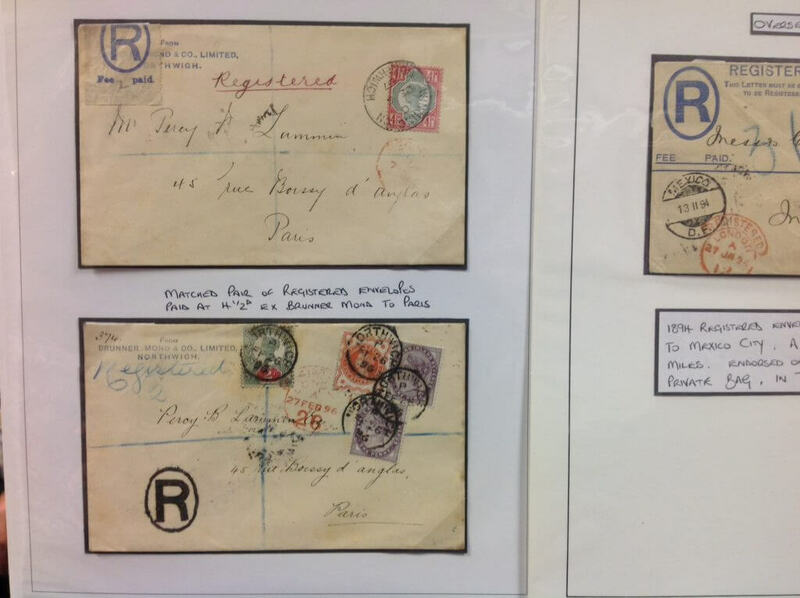 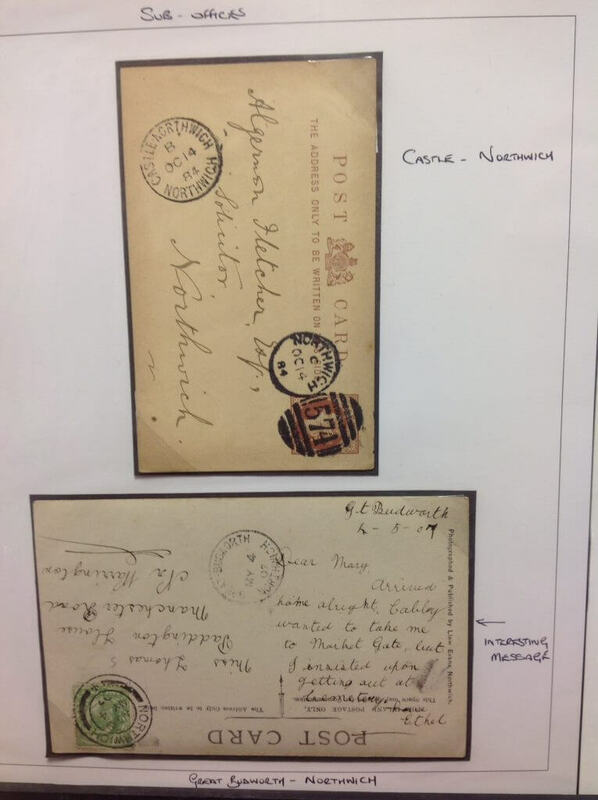 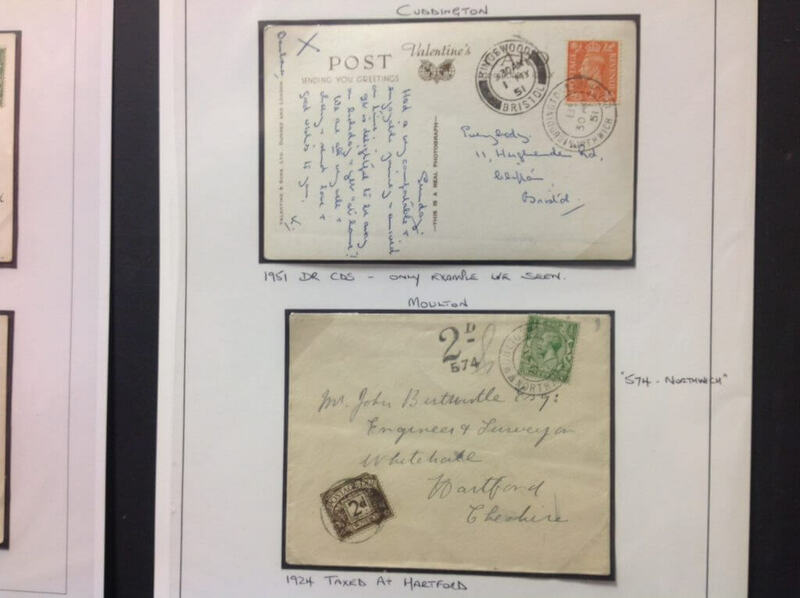 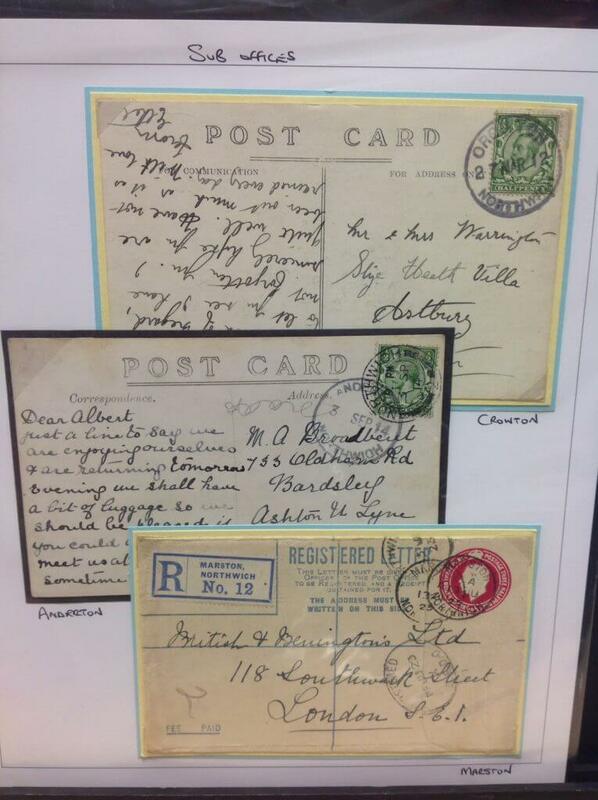 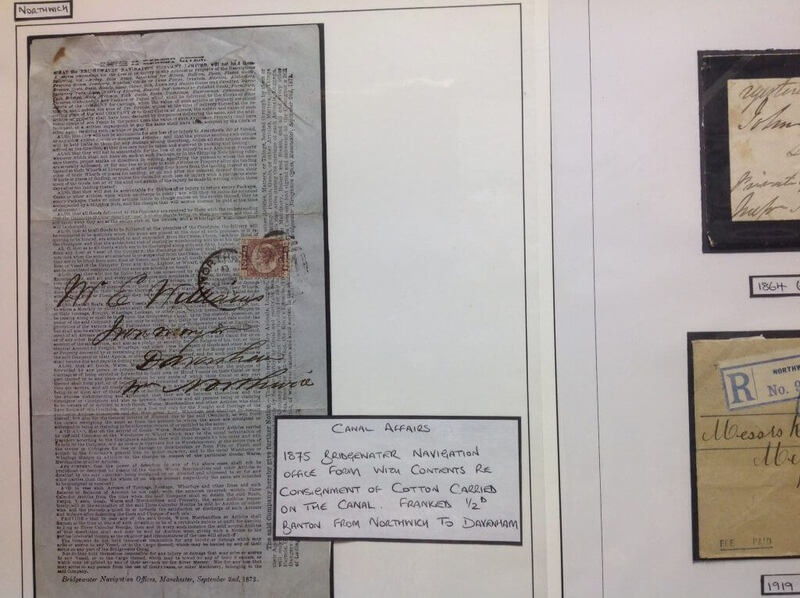 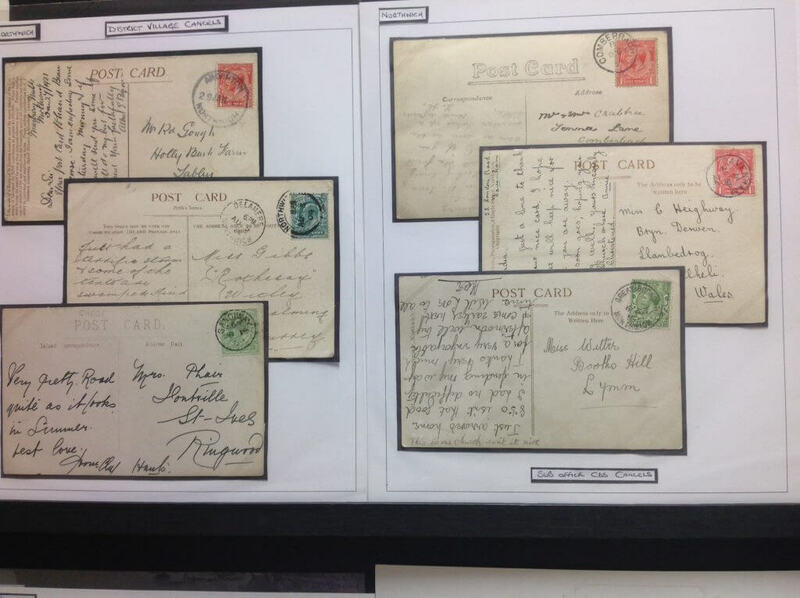 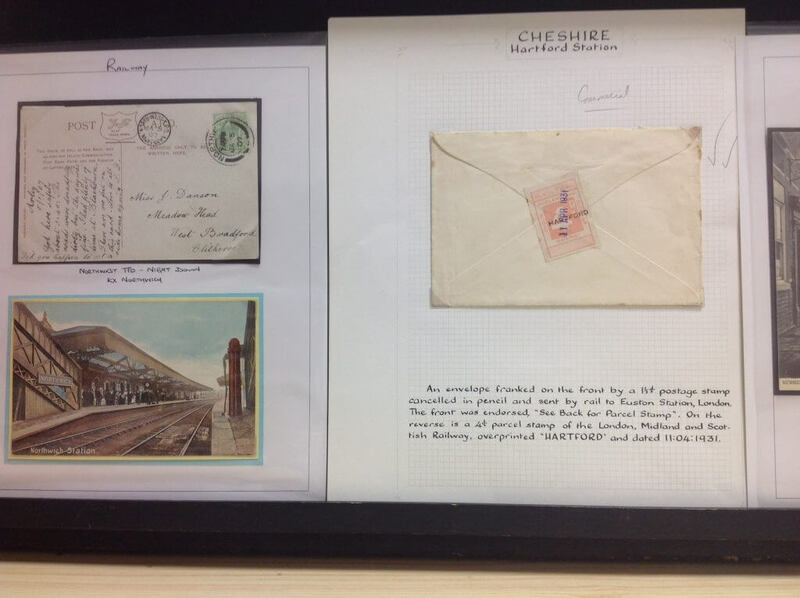 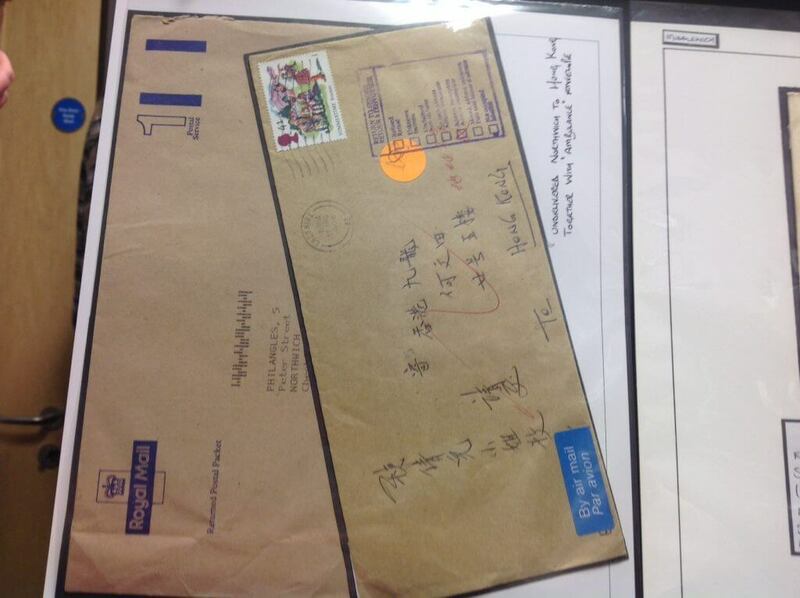 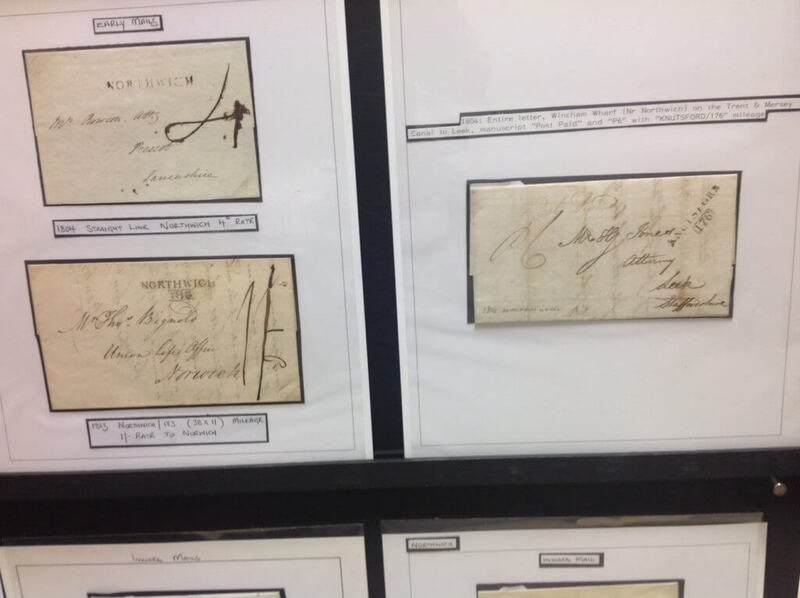 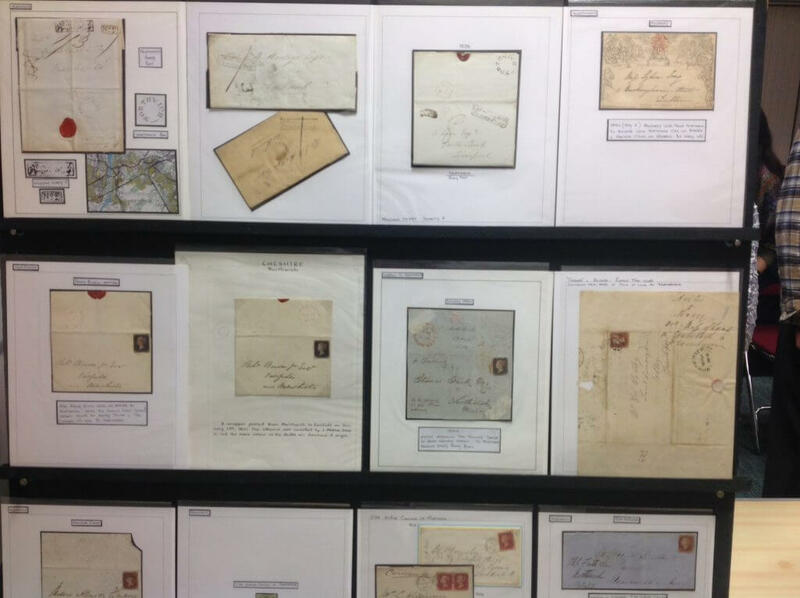 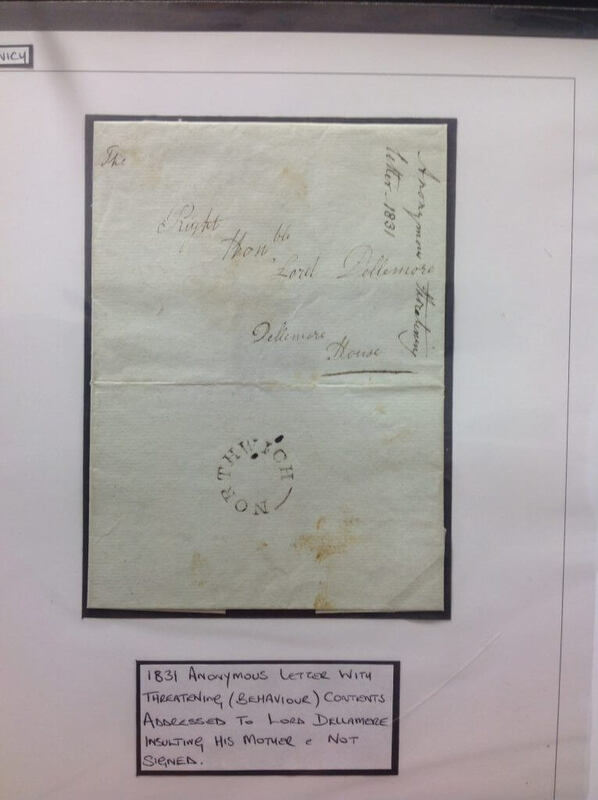 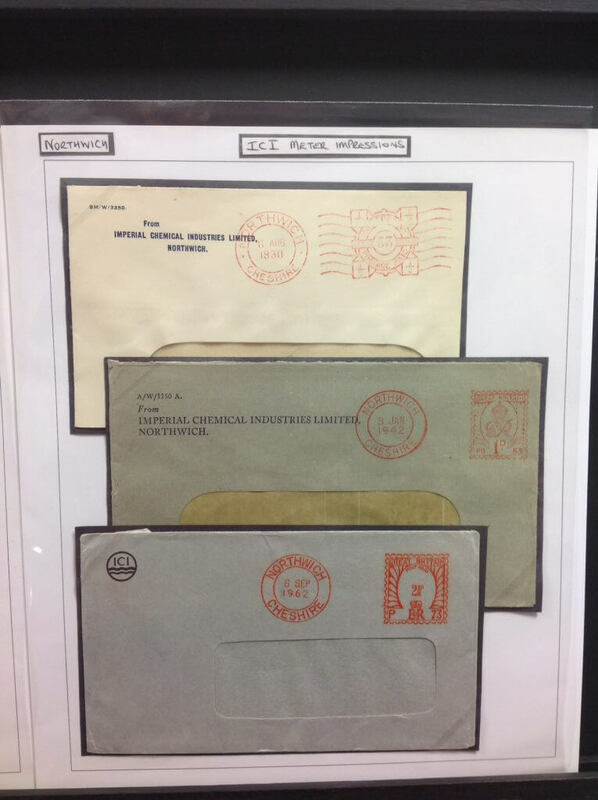 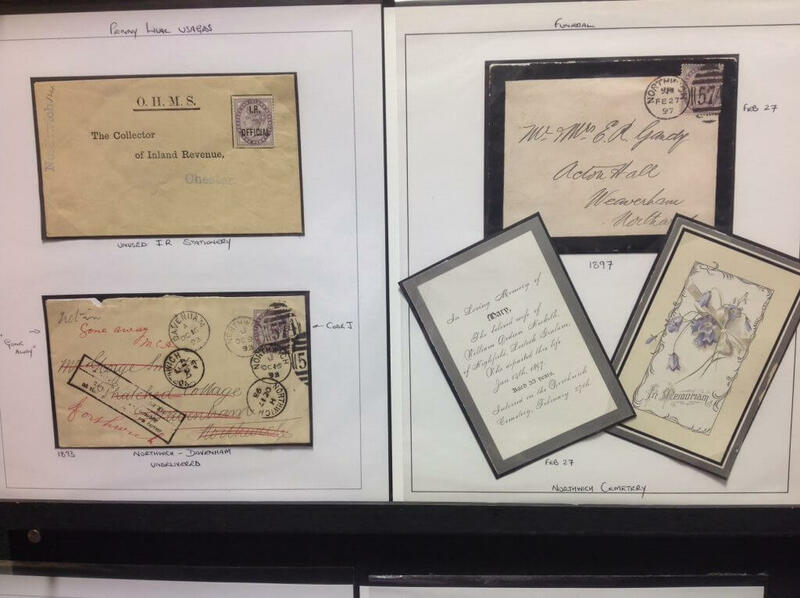 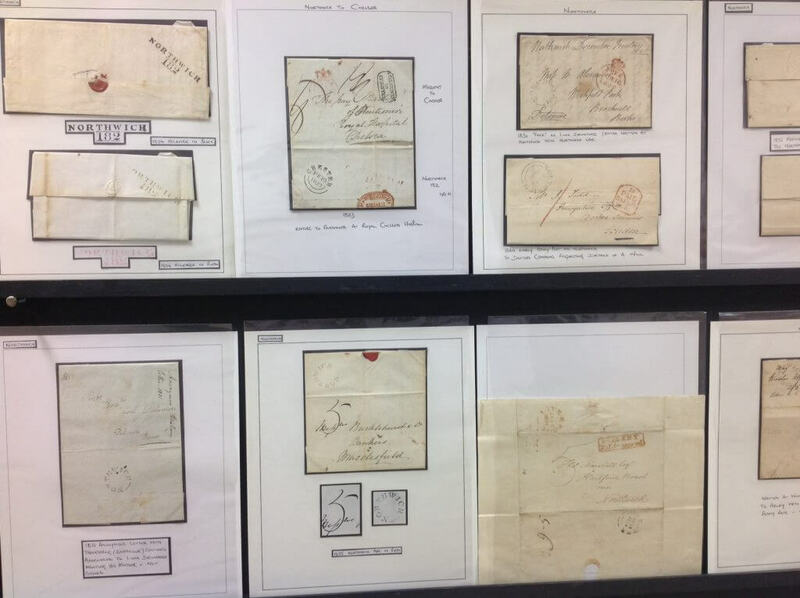 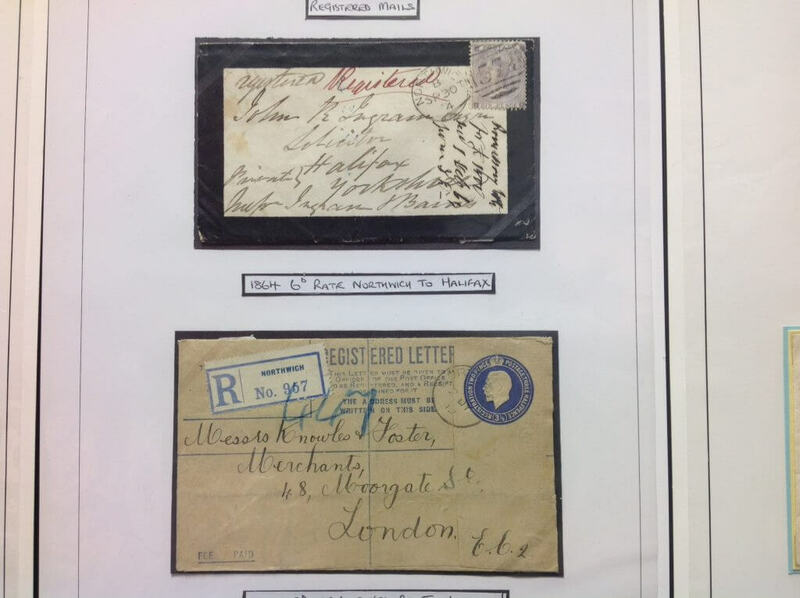 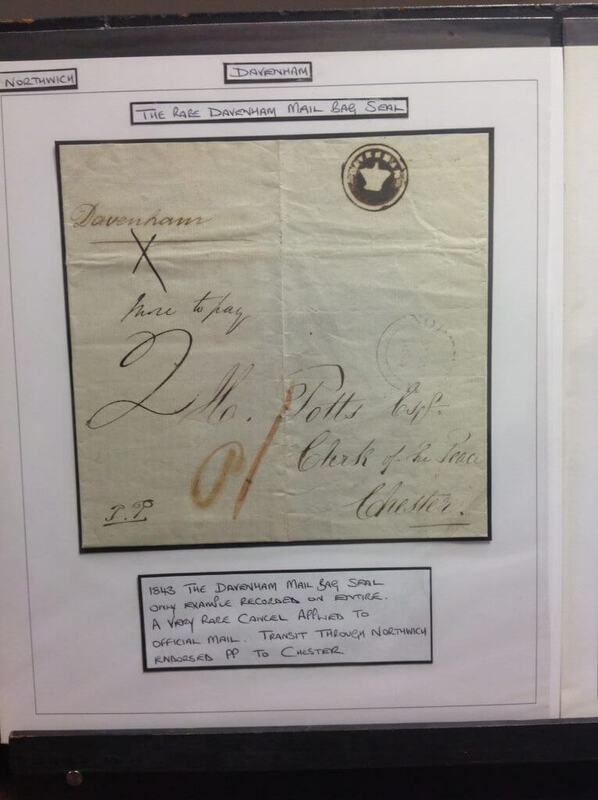 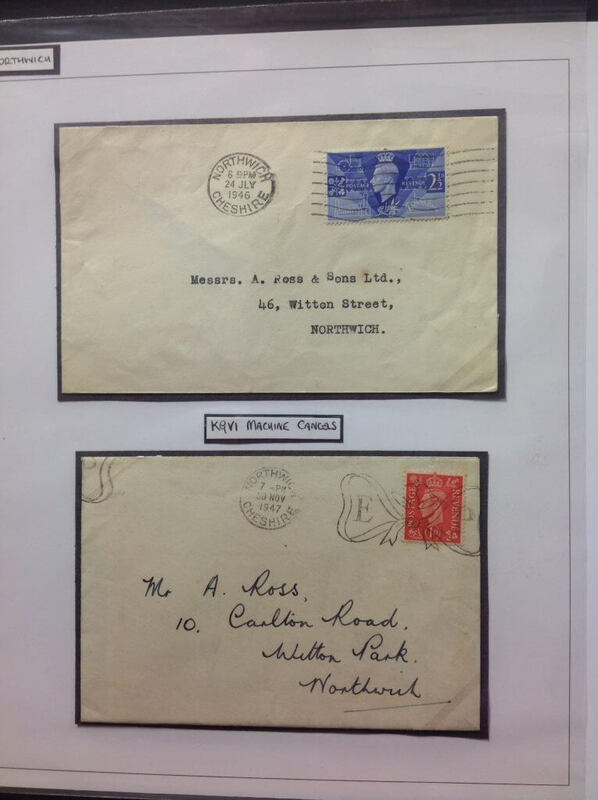 The society were astonished to find such a wonderful range of material on display from over 200 years of postal history, all from such a small location. 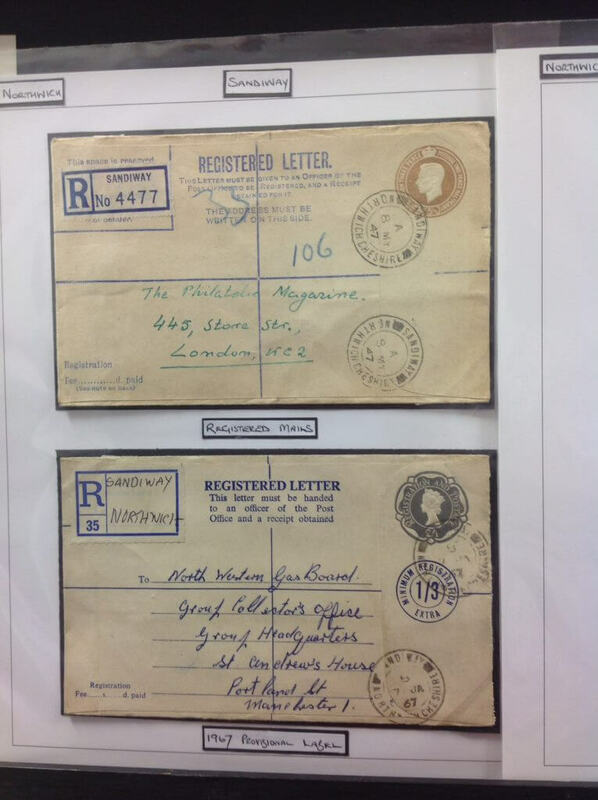 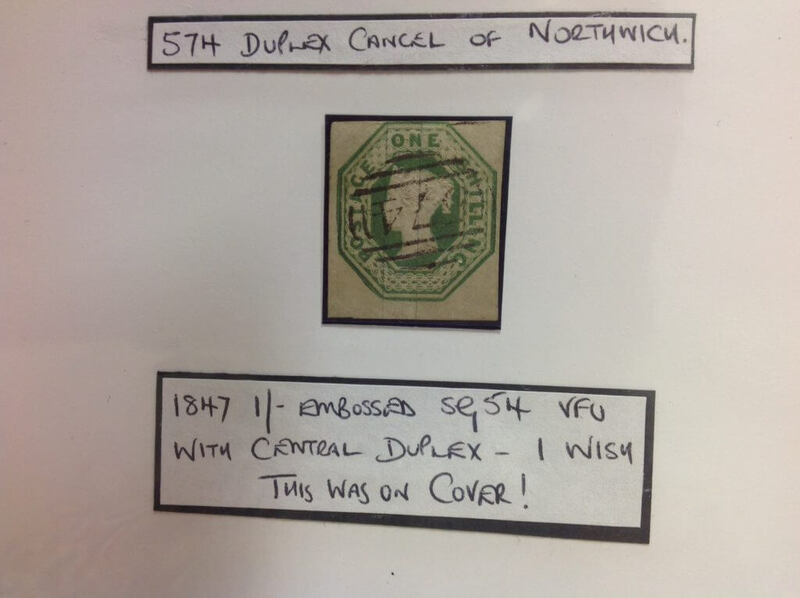 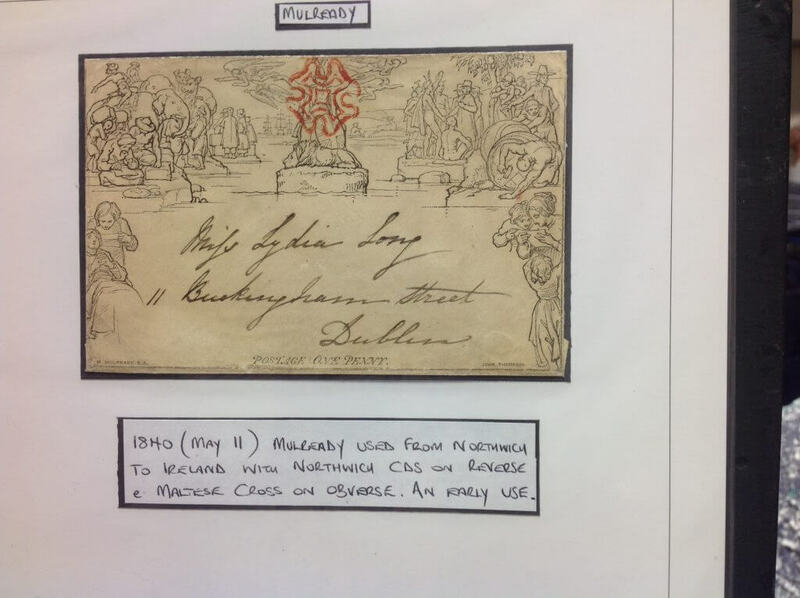 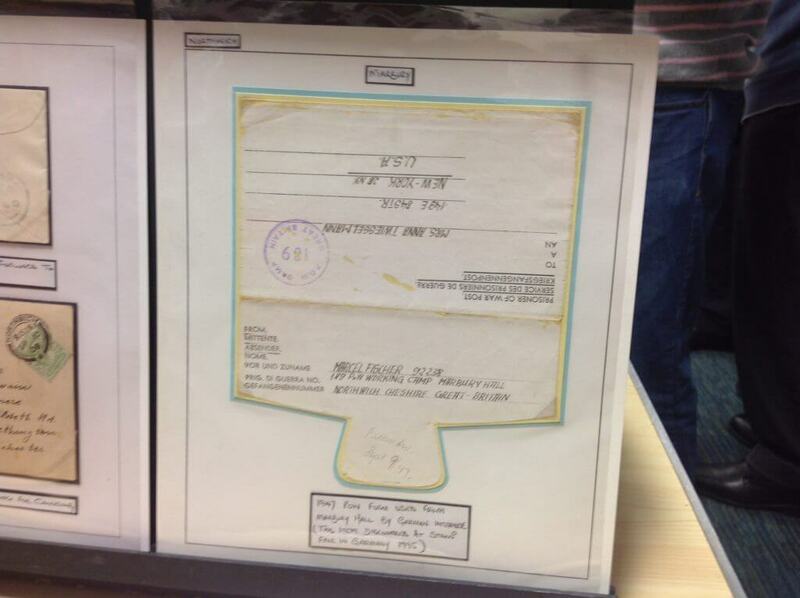 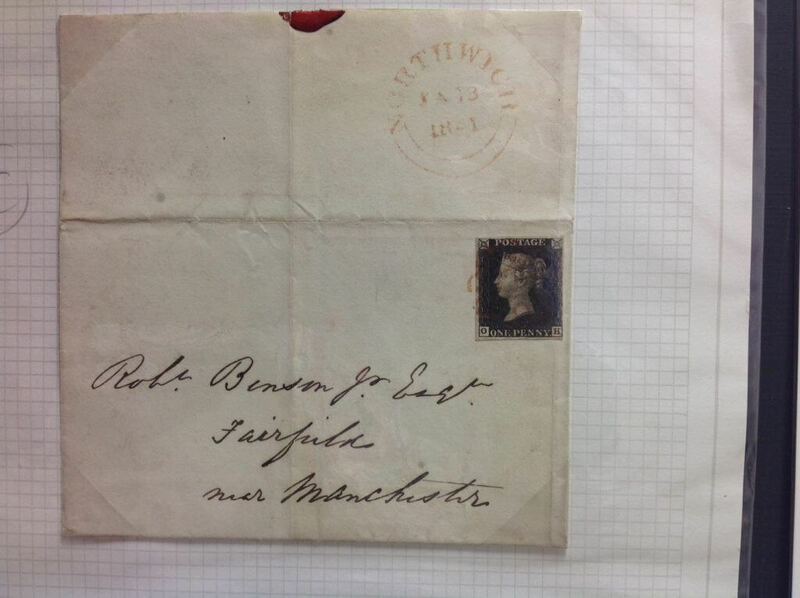 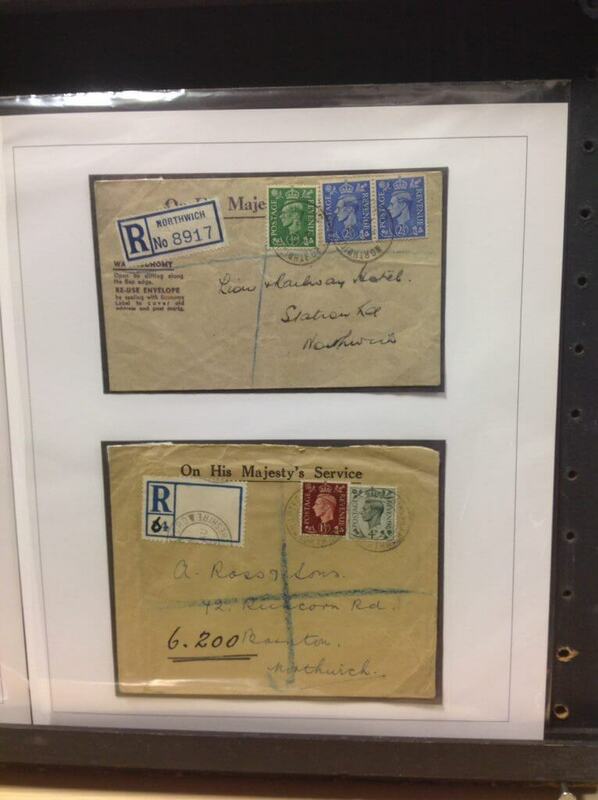 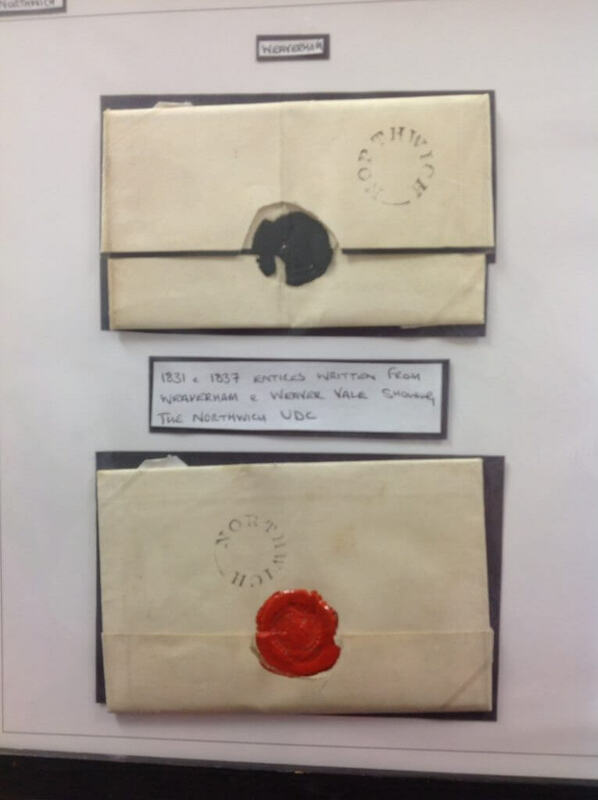 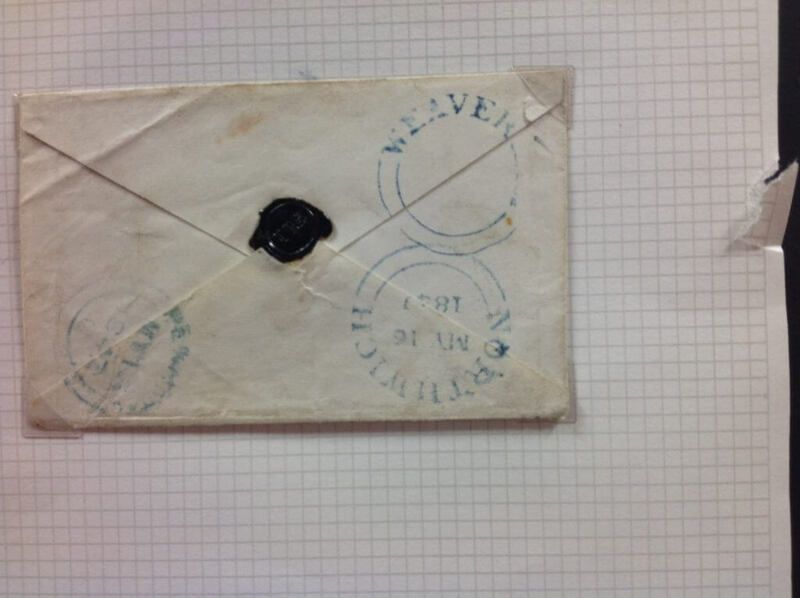 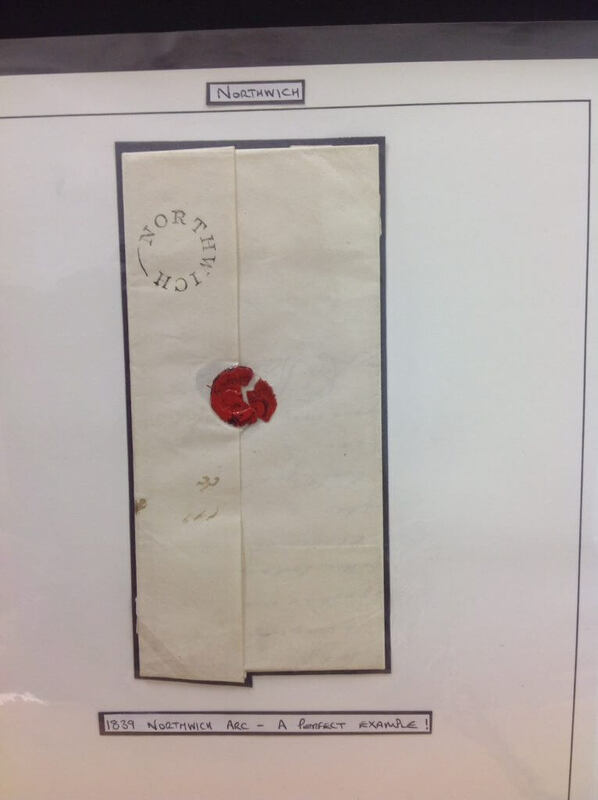 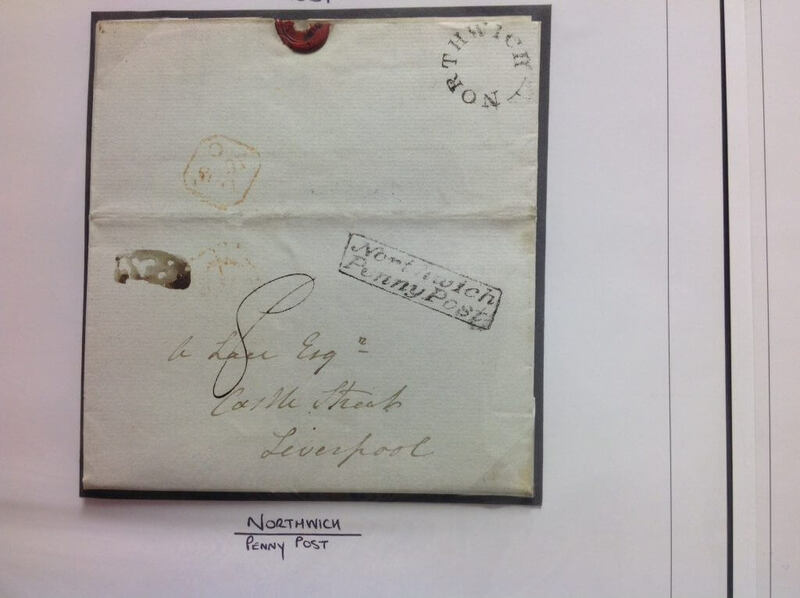 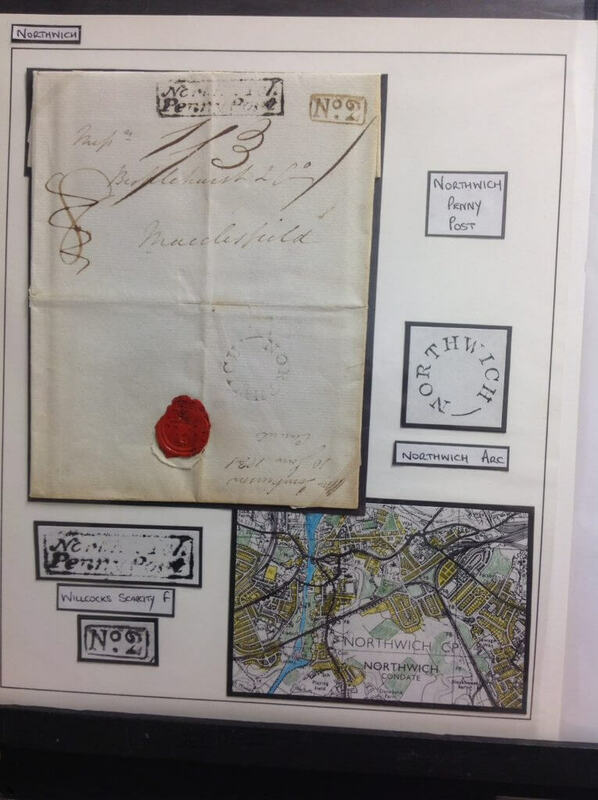 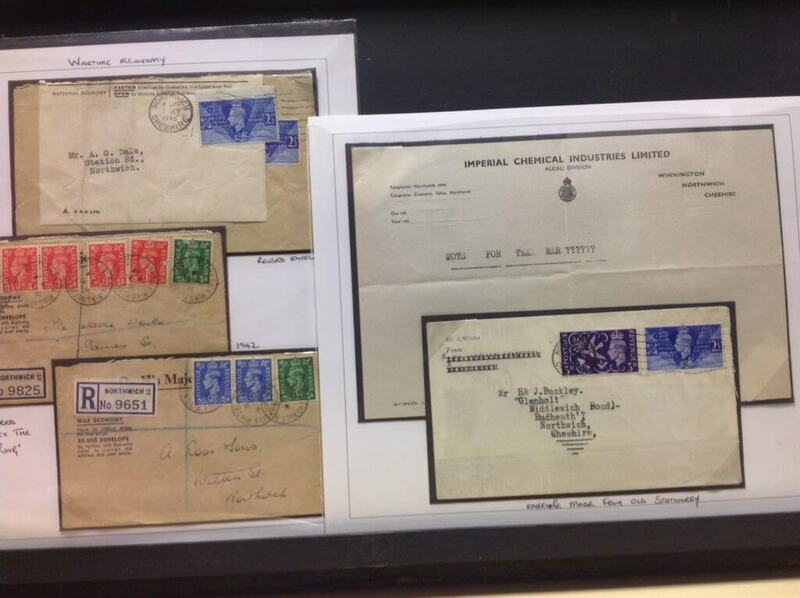 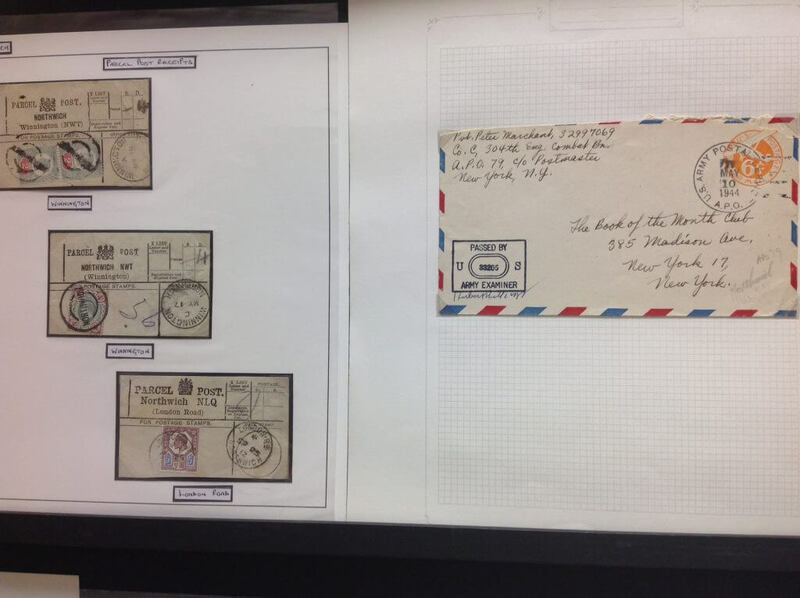 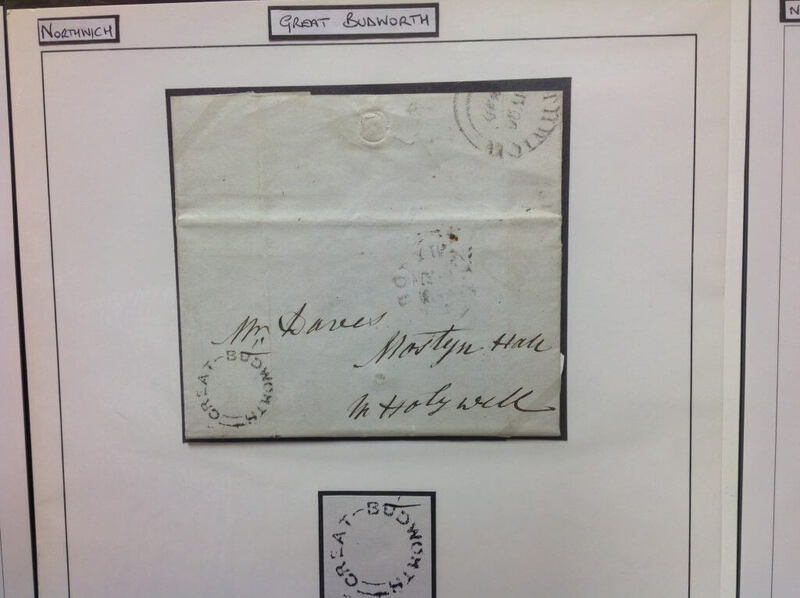 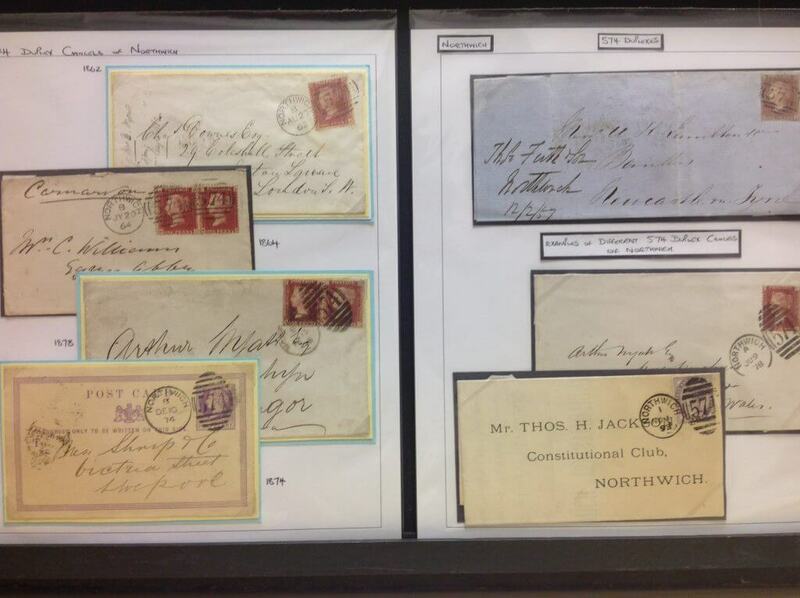 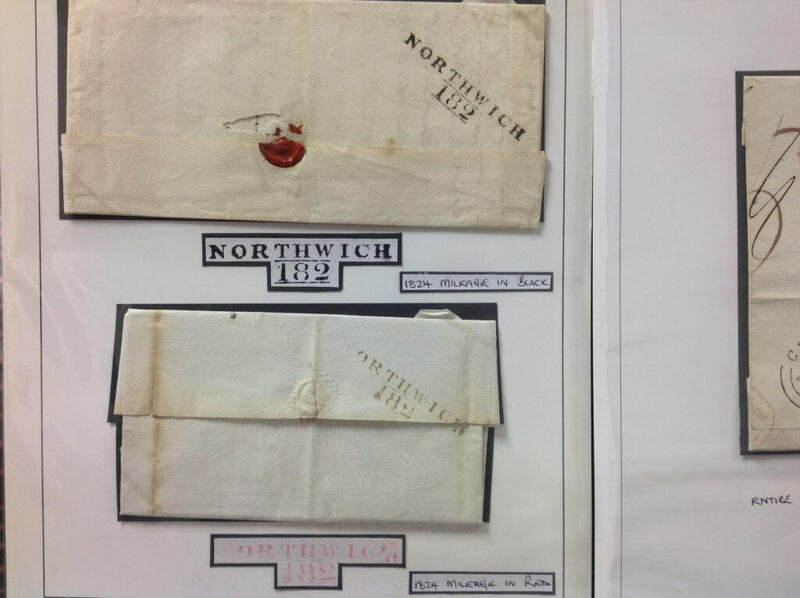 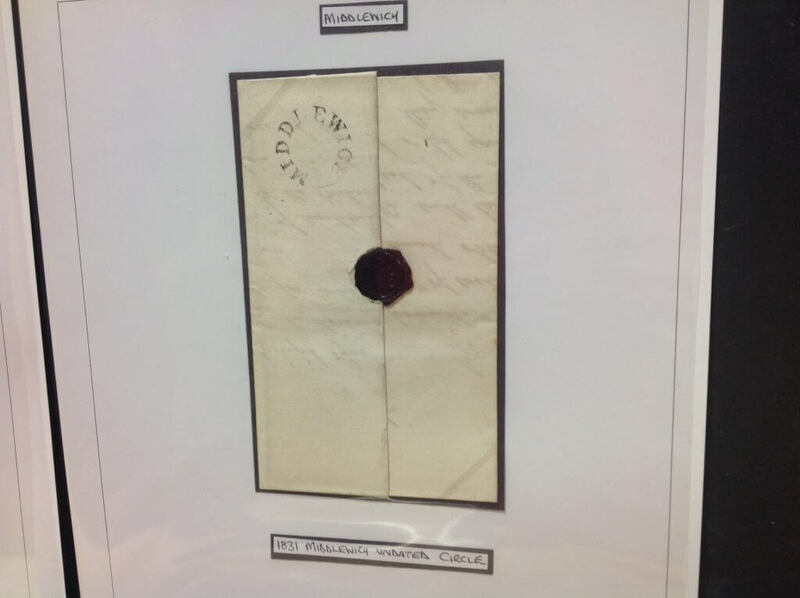 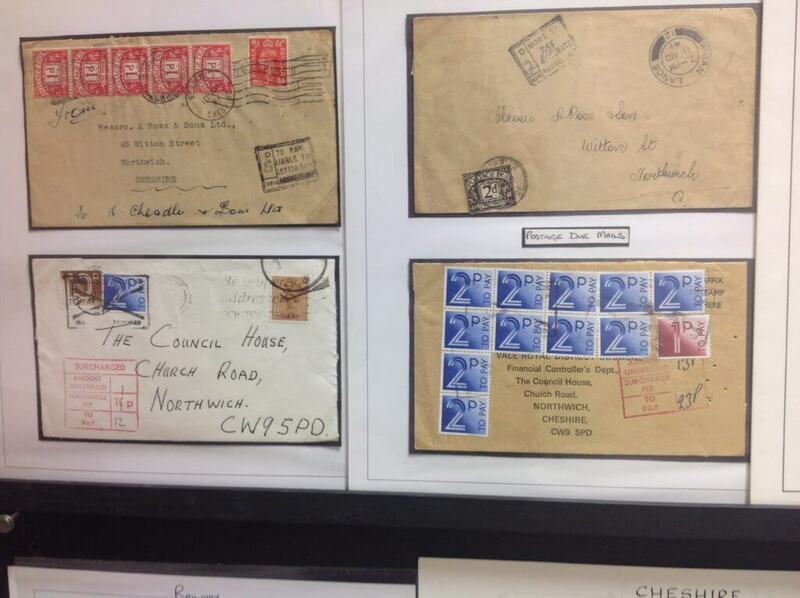 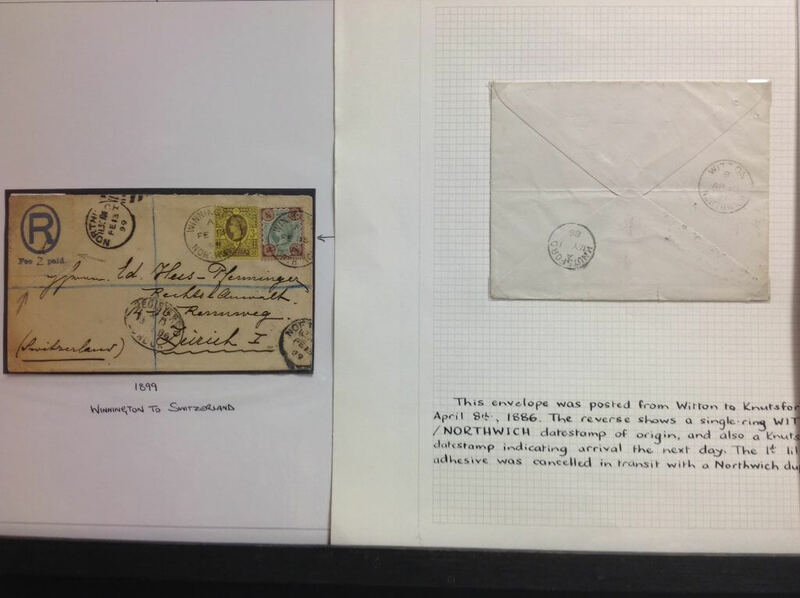 The presentation covered the development of the post and included pre stamp entires, early Mulready’s, Penny Blacks, Blues and Reds and onto the numeral cancel of Northwich 574. 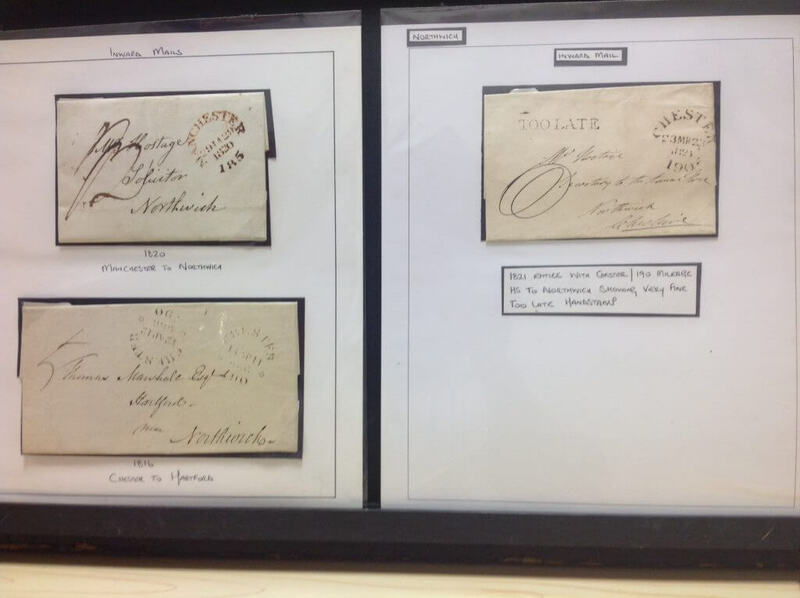 Through Line Engraved and surface printed material Simon brought the display up to date with some relatively recent 21st Century material. 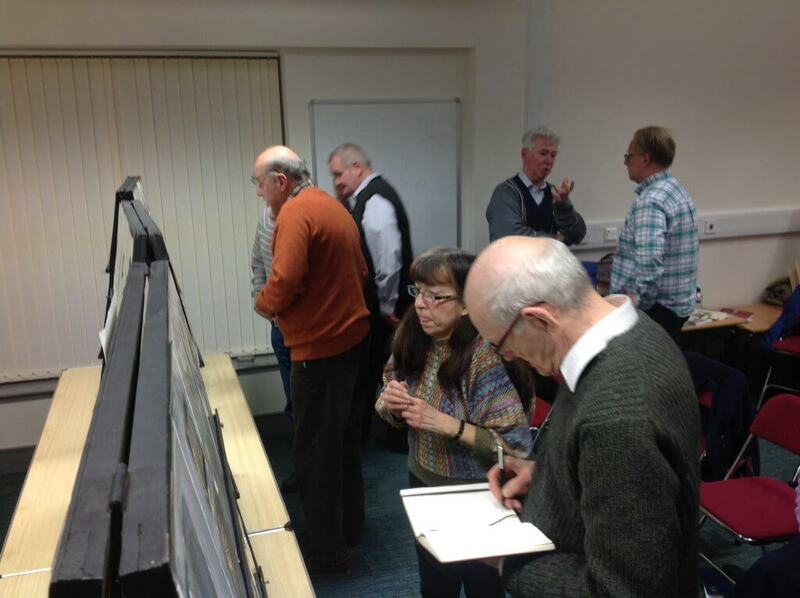 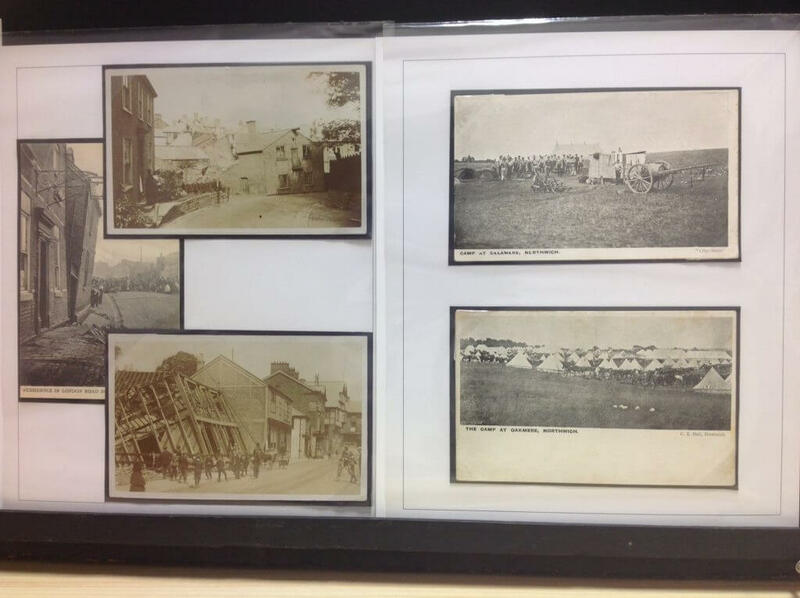 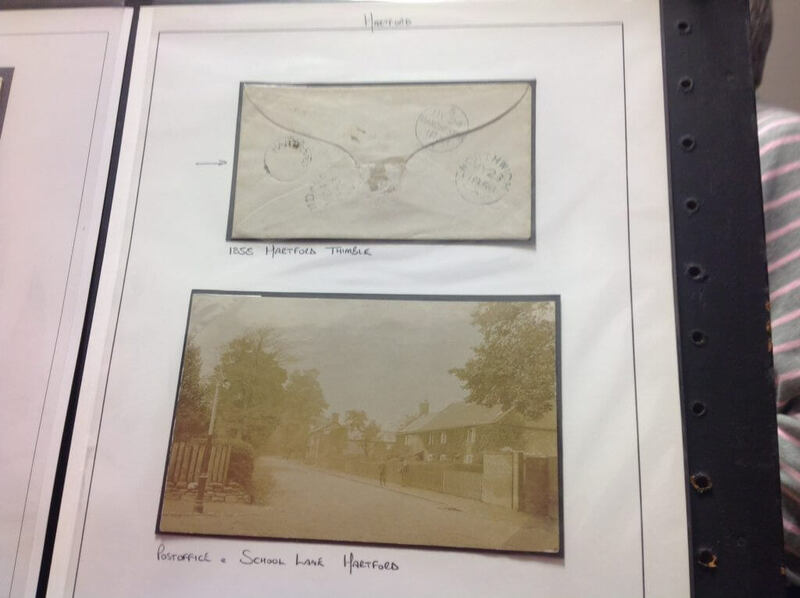 Simon also displayed a range of material from the smaller villages surrounding the town including Davenham, Moulton, Leftwich, Lostock Gralam and many more. 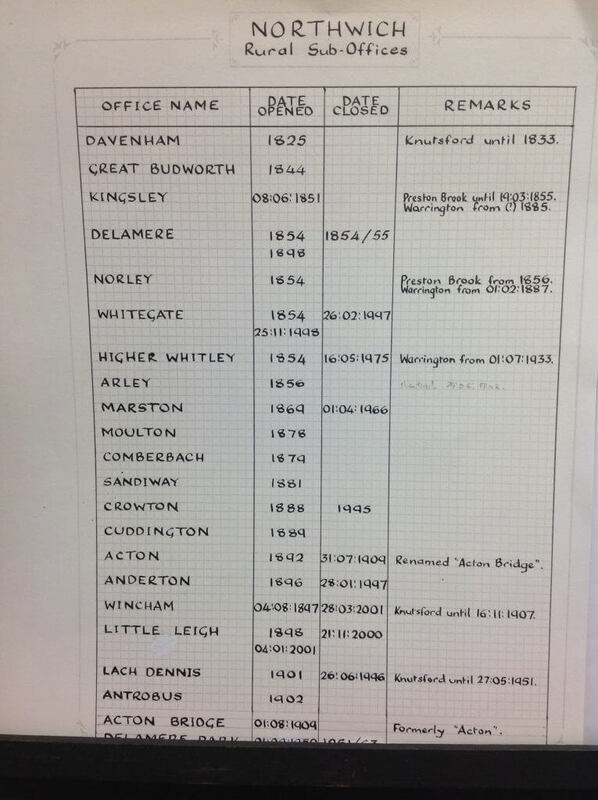 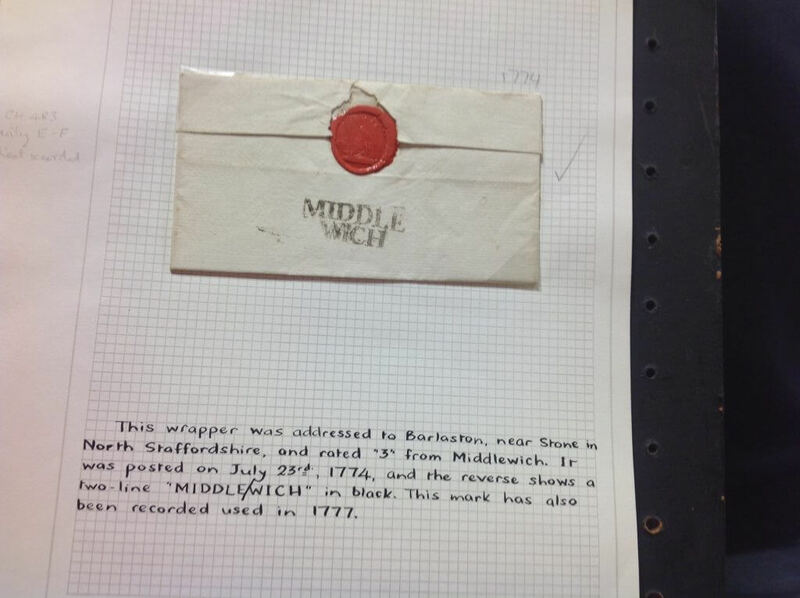 Finally he extended the geography to include the towns of Middlewich and Winsford and had a array of material available from these locations as well. 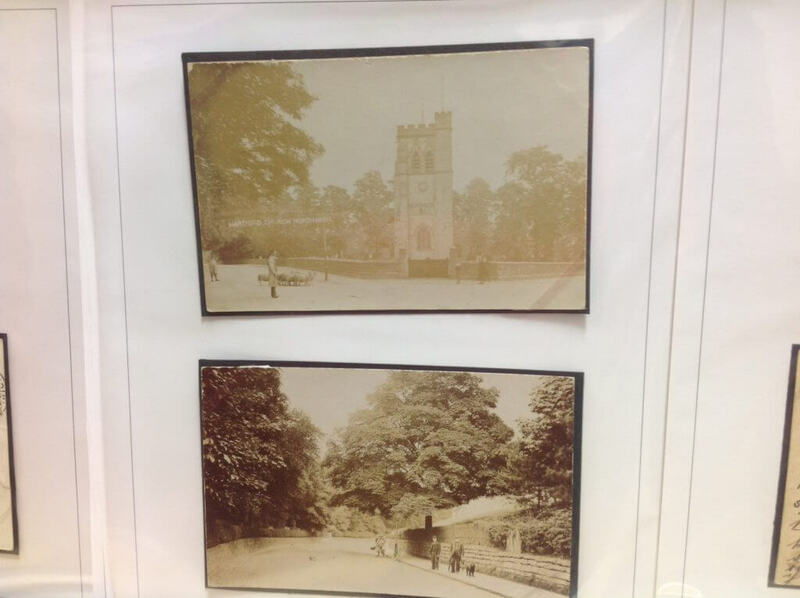 The society would like to thank Simon for a thoroughly entertaining presentation, photographs of which you can see below.